Got Motor Problems? Motor Overheated? Motor Making Noise? Motor Leaking? Sergeant Clutch Certified Engine & Transmission Shop in San Antonio, TX offers Motor & Engine Repair Services. Our expert mechanics can diagnose your vehicles engine problem and perform the necessary repairs professionally. We have the right tools and the latest state of the art diagnostic equipment to make sure your vehicle is diagnosed and repaired correctly. We will take the time to properly diagnose any engine problems and inform you of your repair options. Get the quality personal service you deserve call Sergeant Clutch Certified Engine & Transmission Shop today 210-239-1600. Engine Overheating? The automobiles engine combustion process generates a mass amount of heat. Without a properly functioning radiator cooling system, the automobiles engine heat will damage the parts in the engine. The engines aluminum heads can easily warp when the engine overheats. The engine head gaskets can blow in a few miles when the radiator cooling system stops working. When your vehicle overheats the cooling system and engine should be inspected and repaired immediately. Count on Sergeant Clutch Certified Engine & Transmission Shop help keep your automobiles engine operating safely and efficiently. When the Check Engine Light pops on call or come by Sergeant Clutch. Most automobiles today are controlled by several on-board computers. The on-board computers receive information from a network of sensors, solenoids and switches that convert engine operating conditions into electrical signals. 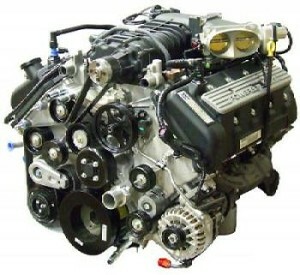 These on-board computers control the engine, transmission, fuel system, spark plugs, steering system, ignition system, fuel pump, emission control system, mass airflow sensor, throttle position sensor, manifold absolute pressure sensor, coolant temperature sensor, O2 exhaust oxygen sensor, crankshaft position sensor, camshaft position sensor and more. When your automobiles on-board computers recognize a problem in any system it will turn on a dashboard warning light like the “ABS Brakes”, “Battery Light”, “Check Engine Light”, or “Service Engine Soon”. When any of these Warning Lights come on bring your vehicle to Sergeant Clutch call us today 210-239-1600. Got a Motor Oil Leak? If you have noticed some motor oil on the ground under your vehicle you may have a problem. It’s important to check the parking spot where you park either in the driveway or the garage for any signs of a motor oil leak. Sergeant Clutch Certified Engines & Transmissions Shop offers a Motor Oil Leak Check Evaluation it includes checking the following and recommendations for replacement or parts or repair: Trust the Auto Repair Experts at Sergeant Clutch to help find the leak and a solution.